The Chalet Suzanne as it looked in its 1960's heyday. The best Martini I ever had was in Lake Wales, Florida, in a bar room decorated like a Swiss-German Alpine lodge. The Chalet Suzanne resort was in the middle of nowhere, and that was the point. It was built on the edge of a lake in the 1930’s, and soon became a place for the famous and the wealthy to disappear- specifically because of its remote location, its private air-strip, and its famous (but very odd) cuisine. I was lucky enough to eat there once shortly before it closed permanently in 2015- and even then the food was like a weird time-capsule of mid-20th-century fine dining- with dishes like candied duck breast and walnut salad, baked grapefruit topped with brown sugar and chicken livers, and home-grown romaine lettuce soup (which was so popular in the 1960’s that it was canned and sold regionally- several cans of Chalet Suzanne Soup even went to the Moon with the Apollo missions). The décor was, similarly, a beautifully outdated version of luxury, and the waiter told the seemingly rehearsed story of how Elizabeth Taylor and Richard Burton used to get flown directly to the Chalet Suzanne to escape the paparazzi during the height of their tabloid-fodder era—and then there was that Martini—it was a wonderful experience. For the Chalet Suzanne, remoteness was a feature, not a defect, and though it’s now closed and sold off, Florida still has many more amazing, lesser-known and out-of-the-way places to be discovered. 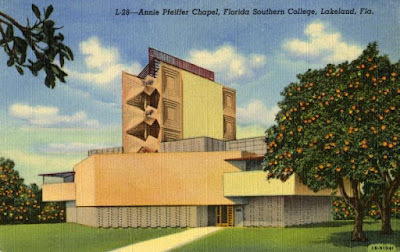 Frank Lloyd Wright's Annie Pfeiffer Chapel at Florida Southern College. Nearby, another college campus boasts a more recent architectural masterpiece. The Innovation, Science, and Technology building at Florida Polytechnic University was recently named one of the most beautiful buildings in the world. The ultra-modern structure, designed by Santiago Calatrava, features a unique hydraulic ceiling with two move-able ‘wings’ that adjust to make the most of natural light. 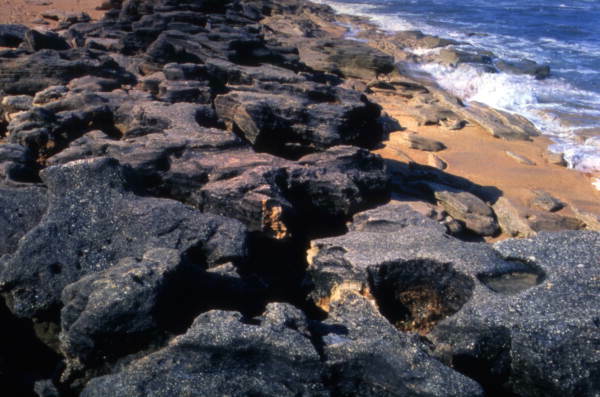 Coquina rock formations at Washington Oaks Gardens State Park. Every Spring, Florida’s beaches are jammed with college kids making bad choices- Panama City, Daytona, St. Pete Beach, and more become swamped and it seems nearly impossible to find a patch of unpopulated coastline. But the most beautiful beach in Florida (which puts it high in the running for most beautiful worldwide) is almost always deserted. There’s an inherent problem with writing about something like this- on one hand I want people to know about the place, but on the other, I would hate for it to become too well-known and heavily-trafficked. Washington Oaks Gardens State Park is one of the smallest in the state Park system- the main feature is the beautifully cultivated garden around an old estate- but just across A1A is one of the most beautiful, most unique, and least known, beaches in Florida. The Beach at Washington Oaks is like nothing else in the state, it’s covered in large coquina rock formations that have been carved into surreal shapes by centuries of waves and rain. ‘The Rocks’ as the place is known locally is filled with secret caves and tide pools and is an amazing place to explore. "The Real Fountain of Youth"
According to legend, Ponce DeLeon first sailed toward Florida after the Arawak people of the Caribbean gave him directions to the location of the legendary Fountain of Youth (DeLeon’s own writings never mention the Fountain, he was searching for a wealthy kingdom that the Arawak called Beimini- probably referring to the Mayan cities of the Yucatan- DeLeon just went the wrong way). 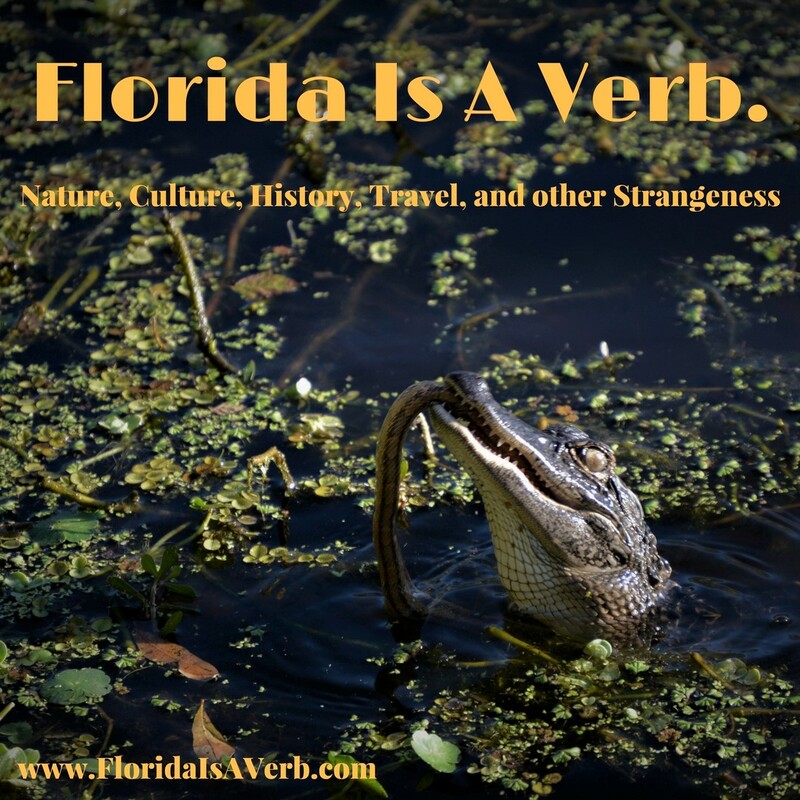 Since then, every water hole in Florida, and the Caribbean, have claimed to be the real thing. 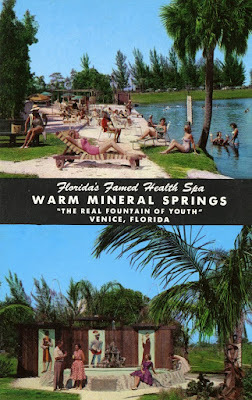 Of course, all of Florida’s natural springs are beautiful, and somewhat true to the myth, the mineral content will make your skin feel especially soft and smooth. 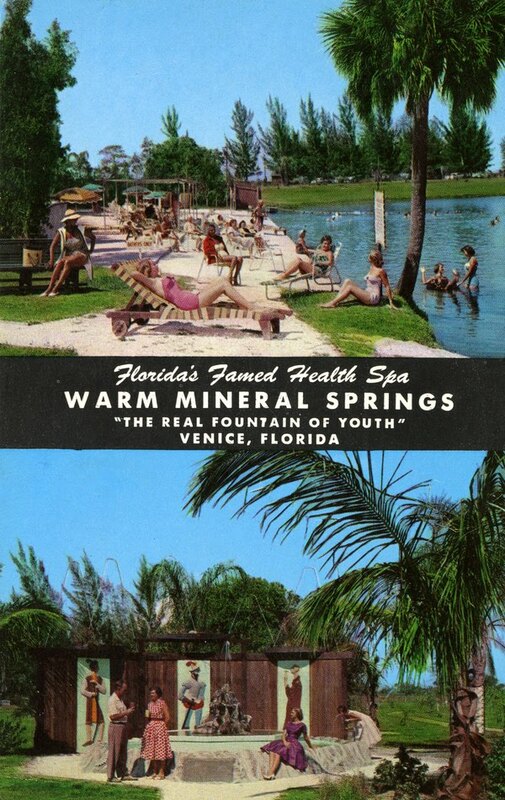 The best candidate for the real thing, however, is the Warm Mineral Springs in southern Sarasota County. The only warm spring in Florida (the rest stay a chill 72-degrees year-round), archeological evidence has shown human habitation at the site going back over ten-thousand years. In the 1950’s, bones and artifacts were found deep in the spring, suggesting that maybe it was a ritual burial site, a sort of gateway to the afterlife. It’s operated as a health spa and swimming hole since the 1960’s. Mount Dora is an odd place, nestled in that tangle of suburbs and toll roads North of Orlando and South of the Ocala National Forest, it’s a cutesy small town on a lake that calls itself the Bass Fishing Capital of the World (it's also where the 1989 schlock horror classic Witch Story was filmed). 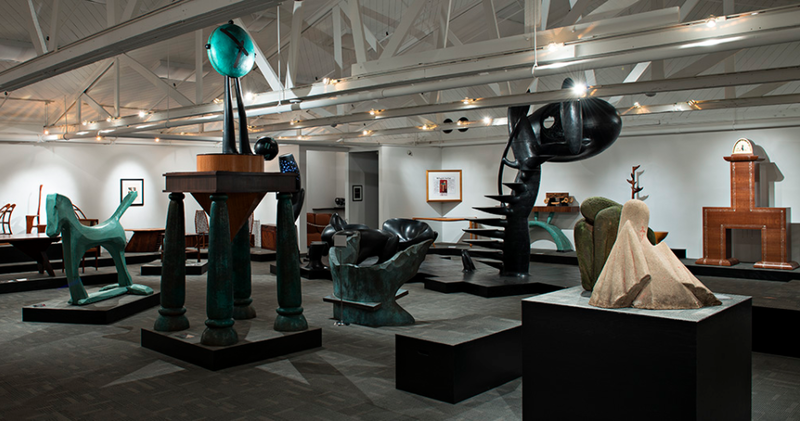 Mount Dora also has one of the best museums dedicated to modernist furniture design this side of Stockholm. The Modernism Museum of Mount Dora contains examples of some of the wildest designs in furniture and interior designs, with work by Wharton Esherick, Wendell Castle, and George Nakashima- as well as their latest acquisitions- a collection of wildly colorful Memphis-style furniture previously owned by David Bowie. I’m not really anticipating having to bug out any time soon, but I think that if I had to, I would know where to go. 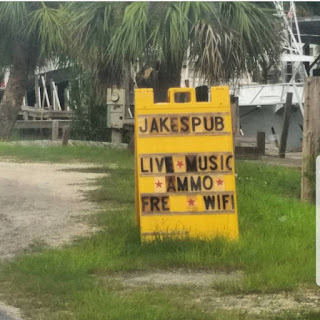 Once, when coming home from Tallahassee the long way, I ventured off the main roads and found myself in Horseshoe Beach. It’s a coastal town of less than 200 people that calls itself ‘Florida’s Last Frontier’ and boasts its main activities as ‘fishing, hunting, and sunsets.’ My phone didn’t work, GPS was spotty, and I found myself in Jake’s Pub, which was, in fact, a moored houseboat with a sign outside that advertised “Live Music, Ammo, Fre Wi-Fi.” Ever since that accidental visit, I’ve always thought that if I ever wanted to disappear completely, I would just go to Horseshoe beach and stay a while in one of the town’s many inexpensive waterfront rentals- or at the nearby Shired Island, one of the state’s most secluded beachfront campgrounds. 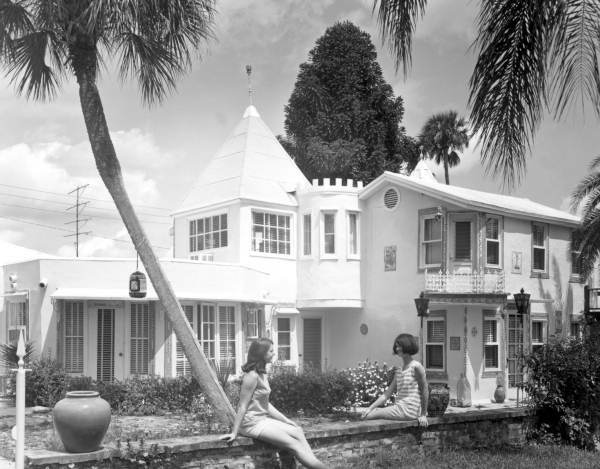 These are only a few on Florida’s many unexpected masterpieces- places where their remoteness or relative obscurity are part of the appeal. The great thing is that there are always more out there- more places to discover and more odd things to know. What are your favorites? Let me know in the comments or shoot me an e-mail.